“He, hey, Katsuragi! Where are you bringing me to? I, I’ll say these bold words first. I’ll refuse if you want to do anything bold to me! I’ll really refuse you! We have to go in order. Keima suddenly turned his head back. He stared through the girl with a piercing expression, and the girl could only look around helplessly. They were at a shrine somewhat distant away from the road. There wasn’t anyone else there. No, there was someone there. The girl didn’t know what to do. A girl with a skull-shaped headdress appeared there. Katsuragi Keima was asking that girl something. It seemed that those two people knew each other. The girl called Elsie shook her head. The girl called Elsie stared at the other girl. Katsuragi Keima and this girl called Elsie were saying something strange right from the beginning. She was thinking that ‘it seemed that Katsuragi-kun’s not some bad person, so my mission should be over with’. However, these good feelings scattered away. Her instincts were scaring her, burning like oil being lit. Keima glanced at the girl. The girl widened her eyes. Keima raised his hand and pointed at her. Yoshino Asami’s twin sister, Yoshino Ikumi stood there, stunned. First, she raised the one question that bothered her the most. Even after been seen through, she didn’t get angry due to embarrassment, and neither did she laugh at Keima. She was just panicking honestly. At this moment, a certain aspect of Yoshino Ikumi showed through, or rather, she basically revealed herself there. Yoshino Ikumi widened her eyes. Keima then said. Keima looked somewhat self-mocking as he laughed. For some reason, Elsie was all happy, and Keima stared back at her with a somewhat kind look. After a moment of silence, haha, Yoshino Ikumi laughed stiffly. She lamented from deep inside her heart. After revealing this, Yoshino Ikumi looked somewhat embarrassed. Keima pushed his glasses and said with a heavy tone. Yoshino Ikumi was showing fear in her eyes. This good looking boy in front of her was practically saying the truth. He clicked his tongue slightly. He continued to remind himself. Keima used his long and narrow eyes to look at Yoshino Asami. Yoshino Ikumi timidly shouted out. She practically shouted her lungs out. The shout was filled with the fear the ordinary girl had on the insightful boy. Keima widened his eyes, but just for that moment. Keima waved his hand as his declared that. Elsie nodded her head too without hesitation as she folded her arms. Yoshino Ikumi looked at Keima and Elsie, showing obvious fear on her face. She said with a hoarse voice. She finally managed to find her words. Keima’s expression suddenly went serious. He turned around and muttered to himself. He again turned to look at Yoshino Ikumi. He gave an expression that was overwhelming and wouldn’t allow for any objections, and it can even be called pressurizing. Yoshino Ikumi suddenly showed tears in her eyes, and at the next moment. She started laughing like she had a loose screw. Elsie was shocked, but Keima merely cocked his eyebrows. Yoshino Ikumi was laughing so much that she was gasping, and shook her hand. Finally, she managed to hold back her laughter, and her fingers wiped away the tears that came out. She suddenly nodded her head with a relaxed expression. The outcome that he wanted. Keima smiled with his lips, and also his eyes. That was something that happened a long time after that. Yoshino Ikumi still remembered everything as she said to her friends in amazement. Though she more or less misunderstood about the term ‘Conquest god’, this was more or less something to take heart from! She said such a shocking thing so easily, took a deep breath, exhaled greatly, and looked at Keima. Then, she hurriedly said to hide her delight. She said to Keima, who in turn nodded her head. Keima prompted her to continue on with her eyes. Yoshino Ikumi nodded her head hard too. On a side note, Elsie was the only one who was confused. The girl didn’t understand more than half of her words. However, Yoshino Ikumi and Keima continued with their conversation as they left Elsie aside. Yoshino Ikumi smiled slightly and said with a complicated expression. She said with a sad expression. Yoshino Ikumi hurriedly turned to look at Keima. “But onee-chan, she’s the complete opposite of me. She hates humans, hates gatherings, hates being with people, and a school with lots of people is something that depressed her. Interacting with people and being with them would cause her to feel like she’s suffering. Yoshino Ikumi shook her head. She added on with a depressed look. Keima’s eyebrows never twitched at all. Because this was exactly what he expected. If not, she wouldn’t be wearing that mask to live on. She sealed the lid to look at Keima’s expression. This was also as expected. Keima had a question mark in his mind. However, he didn’t say this to Ikumi and merely asked. Yoshino Ikumi nodded her head heavily. Keima himself was giving off cold sweat. Yoshino Ikumi lowered her head. On a side note, at this moment, Elsie was…sleeping. Kukaa~she was sleeping soundly. It seemed that she logically gave up on understanding the topic at hand as it was too complicated. Keima glanced at her and sighed. Yoshino Ikumi scratched her head in an awkward manner. Yoshino Ikumi lifted her eyes and looked at Katsuragi Keima. This time, it’s Yoshino Ikumi’s turn to break out cold sweat. This time, it’s Keima’s turn to ask. Yoshino Ikumi nodded her head. Yoshino Ikumi widened her eyes. Either way, her voice trembled in amazement. He muttered deep inside his head. He then answered with a question. “That’s right, that’s completely right. Onee-chan joined the tea ceremony club because of this reason. Onee-chan had been worried about her personality and wanted to correct it, correct how she hated humans. Thus, she would try to join gatherings, and would even work hard to participate in club activities. Yoshino Ikumi grabbed Keima’s hand. Her eyes were full of trust in the almighty insight of Keima. Keima didn’t respond as he raised a question that’s slightly deviated from the topic at hand. It wasn’t really a question that was directly linked with the conquest, just something that this boy called Katsuragi Keima himself wanted to know, something he wanted to understand about Yoshino Asami. Keima was silent for quite a while. Yoshino Ikumi’s eyes were shining. Yoshino Ikumi raised her hands in approval. Yoshino Asami was invited by her younger sister Ikumi, who just returned home. Also, she added a ‘and also’, which shook Yoshino Asami’s heart. Yoshino Asami answered as if it was instinct. Her younger sister Yoshino Ikumi was nodding away in a satisfied manner. The next day was a bright sunny day. Yoshino Asami’s heart was beating hard as she reached the entrance of the Dean Land. Over there, there’s the bronze statue of the founder of Dean Land, Ikegoma Gakkan. This was the gathering place. And after saying that, she smiled and left the house. Seeing her little sister give such a bright smile, she couldn’t say anything. Facing this sister of hers who had a completely different personality, Yoshino Asami always felt that there was something she couldn’t match her in. She was heavily reliant on her twin sister, Yoshino Ikumi. She had reached the age of youth, and she couldn’t fawn around with her parents like when she was young (even though this was the case, there wasn’t really much of a family issue, just a little feeling of isolation, especially to the father). Her sister was basically the only person she would talk to. Even though she would also have her own troubles or talk about school, whenever the little sister complained about youth things that ‘studying for tests is so hard~’ or ‘there’s a handsome guy in class…’ (Even though they look the same physically, in this aspect, Yoshino Asami would be a late bloomer, so she was rather restrained in front of guys, often being very shy) she would listen attentively. Even removing this factor, the twin sisters were on good terms with each other. But even though she’s the elder sister, the decision making between these two girls would always land on the younger sister, whether it’s about school or about Katsuragi Keima. Ikumi would always prompt her to talk me. She knew that her sister was worried about her. Worried that she still had inter-personal problems. Her sister was always so worried. ‘You hate humans.’ That’s how the sister would describe Asami, but to Asami, it was a little different. She’s just not good with humans. Asami wasn’t really good with building relationships with others on the surface. Thus, if there’s a need to say that she ‘hated’. In fact, she didn’t really hate ‘humans’, or rather, it was the opposite. Asami loved to read books, and she basically read highly-rated books, biographies, and of course, light novels too. However, she’s engrossed with the characters that appeared in the books because she liked the existences called ‘humans’. As she couldn’t be involved, Yoshino Asami liked to see people interactions. She liked to listen to her sister Ikumi talk about these unnecessary things. To be honest, what shocked Ikumi was that Asami was very clear about her sister’s relationships with her friends, and also, she understood her classmates’ personalities, standpoints, history and so on. Once she got involved, she couldn’t take it. Yoshino Asami really liked happy people. Ikumi was able to describe things things so happily because she could always build rapport with anyone around her, and she liked to look at classmates who could get along well from afar. Couldn’t do it. Once she got involved, she felt like she would crumble. How should she put it? It’s like the harmonious balance would collapse once it enters ‘her’. She would not know how to react, and would then feel uncomfortable, and then her body would feel uncomfortable. Thus, human thought that ‘onee-chan hated humans’ as a response. She’s really frustrated with herself for having such strong thoughts. She wondered when was it that she couldn’t get along well with people. It wasn’t that there was any chance. Before she realized it, she found her sister dazzling, and then always envied her, and then felt unhappy about it—that was when she was still a kid. She wrote that she ‘wanted to be a hermit in the mountains’ as her dream, and her homeroom teacher was extremely worried and told her parents, who were in turn extremely angry. These were her true thoughts. It’s not that anyone wasn’t good with her, but that she just couldn’t do it. Even though she felt anxious about that, but this was a major reason why she agreed to go to Dean’s Land. Asami was still fearful about human relationships, but she would often take part in class activities or social events, and she chose the tea ceremony club because she hoped to use one one one communication to improve her interaction ability. Most of the situations couldn’t work. She couldn’t smile too much when she was playing with others (she didn’t feel like she was smiling), she was worried about whether she irritated them, whether she made them unhappy, got really anxious until she felt uncomfortable. Then, she would be more cautious about the people around her and would feel even more embarrassed. She would always inadvertently compare herself with her sister. And would feel dejected because of it. But to be honest, she had a little expectation that came with this anxiety. After she got off the bus a walked down a gradual downhill slope, she looked around and found the meet-up location. There was a stern-looking male bronze statue beside the entrance, and 2 people were already standing there. Ikumi and Katsuragi-kun aren’t here yet? Thinking about this, she wanted to turn to the opposite direction to look for him, and found him there. Her heart beat wildly as Katsuragi Keima was standing there alone. He was still playing his handheld games. Asami was troubled as she wondered if she should talk to him. After hesitating for a moment. She summoned her courage to utter out those words. Katsuragi Keima suddenly spread his arms wide and kicked his right leg like he was using to the handheld console in his hands to catch something that’s falling from the sky. Yoshino Asami was taken aback as she backed away. Keima’s eyes returned back to the screen. Yoshino Asami heaved a sigh of relief. She found her senses and put on her usual ‘ordinary’ mask. This was the only skill of interaction Yoshino Asami had. 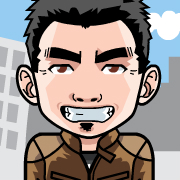 Yoshino Asami, who’s not good with getting along with others, thought of the only way to mix with the crowd. She said with a calm tone as she looked for a way to start the conversation. She couldn’t help but ask back. No matter how she looked at it, there’s only one dangerous weirdo. Yoshino Asami finally realized that Katsuragi Keima was talking to an in-game character. Has she really fallen for him? And that was what she said. As she reported her daily school life events to her sister, the mysterious boy called Katsuragi Keima kept popping up more often, and her sister pointed that out. She should more or less be honest with herself. Yoshino Asami shook her head and her hands. She thought that she couldn’t possibly have this feeling. Normally, when she talked about him, she would be merely a little more shy than usual. Ignoring this rationality, it’s just like what her sister said. Her heart did waver. Was this—falling in love? At the beginning, she was often mindful of this boy called Katsuragi Keima. During lessons, lunch break, inside the classroom. Even when they brushed by each other on the corridors. Before she realized it, she was shocked to find that her eyes were always following Keima. To be honest, recently, she had been going home with Keima, and even though she looked like nothing was going on, her heart was secretly beating wildly. Nobody knew whether it was really love or not, and to be honest, she didn’t really understand this thing called love. There’s just one thing she could be certain of. She was very mindful of Katsuragi Keima, this boy. She couldn’t deny that she had feelings for him. She didn’t know the reason. She just felt uncomfortable on meeting him. And just like that, he brought Yoshino Asami into the Dean’s Land. Asami was panicking. Right in front of Keima, the ‘ordinary’ mask she always managed to put on successfully was shed. Yoshino Asami was rooted for a moment. And couldn’t help but shout out as it was completely unexpected. Then, Keima hurriedly entered Dean’s Land, and Yoshino Asami looked lost as she followed in. Keima looked at the crowds of people that entered and said without hesitation. Yoshino Asami blinked her eyes and blushed. She didn’t know what to do, what to cosplay. It was alright if she was with her sister, but it would be too embarrassing to do it alone with Katsuragi-kun! She couldn’t help but say these words, and then realized something as she stuffed her mouth. However, Keima’s mood didn’t seem to be affected. He muttered to himself, and Yoshino Asami’s mind was thinking about all sorts of things. There was such a poster on. Keima looked around with an even serious expression, and Yoshino Asami also looked around. She wasn’t sure, but there were really girls wearing strangely glamorous uniforms around. Perhaps these uniforms were all worn by girls in games? It seemed that Katsuragi Keima really couldn’t stand seeing the slight mistakes in the uniforms. She could thoroughly understand why Keima was angry. Then, he answered the statements of ‘hey you, do you have any right to say that’ with action. Until the time Yoshino Ikumi and Elsie arrived. At first, Yoshino Ikumi heard about everything that happened and called out. To this, Yoshino Asami could only agree with it. Elsie was the only one who looked guilty as she gave a bitter expression and looked at Keima who was slamming the table at the counter and saying things. It was somewhat a little reluctant. Thus, Keima and Yoshino Asami were joined by Yoshino Ikumi and Elsie, and even Keima didn’t intend to stand in front of the counter and talk about gal-game clothing. ‘’Really’’; he gave such an expression before following the Yoshino sisters and Elsie. She loudly declared as she pointed at the selling point of the 7-levels Dean Land, ‘entering a haunted house with a swimsuit’. Yoshino Asami was blushing, Elsie was shocked, and Keima was merely giving a blank face. That’s what his expression was arguing. Let alone cosplaying and walking inside the facility or the jet coaster outside, the designer of Dean Land took it too far. Also, this ‘wearing swimsuits and entering a haunted house’ was a rather brilliant concept. The entrants would have to change into swimsuits at the entrance (both male and female versions were available for loan), and they would enter a building where the water’s at their knees. It was designed as an ‘underwater complex’. As of his understanding, it’s a haunted house combined with a swimming pool. The entrants would have to wade through the water-filled complex. The ‘Water moving at knee level’ was the crux. For example, they’ll find that the water that was all clear up till a certain point became bloody red, or that someone grabbed their ankles from within the water. Whether it’s an increase or decrease in temperature, ordinary humans will feel a large psychological burden. There were too many unknowns that were concerns. In a certain sense, it was an outstanding creation. Another reason was that as they have to wear swimsuits, a lot of couples were attracted as they were looking for thrill. Yoshino Asami was hesitant at first, but bought an entrance ticket on Yoshino Ikumi’s forceful request. They came out separately from the men and women changing rooms on the left and right sides respectively. Yoshino Asami and Ikumi were wearing striped one-pieced type, while Elsie was wearing a separate thing with a towel wrapped around her. What’s amazing was that even though the twins were wearing the same swimsuits and had the same face, Yoshino Ikumi gave a lively impression while Yoshino Asami just looked pathetic. Also, Elsie’s figure was unexpectedly good. Even Keima, who was rather cold to real-life girls, was somewhat moved. After that, Keima, the only guy, and the 3 girls entered the haunted house and dipped their feet into the warm water as they walked into the labyrinth attraction. It was rather scary, and Elsie and Yoshino Ikumi were walking in front, and Keima and Yoshima Asami were following behind. Every single time there was a drop of water from the ceiling or a zombie popping out to scare people, Yoshino Asami would let out a pained cry and cling onto Keima. It was impossible to resist it. She didn’t mean for this to happen, but that her body was saying its own thing and responding in such a manner. Keima blushed slightly as well, but never ever rejected Yoshino Asami. She would cry at one moment and make a ruckus at the next moment. The four people finally finished this one-of-its-kind facility, and Elsie and Yoshino Ikumi seemed like they really enjoyed it. After completing everything, they changed back into their own clothes inside the changing room. Even after walking for quite a while from the haunted house, Yoshino Asami’s heart was still beating wildly. Was unlikely to be because of fear. They ate their slightly late lunch at a restaurant in the theme park. At that moment, Yoshino Asami just felt like she let go of everything as she would talk and joke with Keima and criticize Keima with Ikumi, and even to Elsie, whom she never really talked to…even though there were some restraints, she could still talk normally. So she could talk to people other than her own sister. Her sister said that. On hearing Yoshino Ikumi’s casual words, Yoshino Asami’s abdomen ached slightly. The intense happiness suddenly wilted, and it felt like she got a dampener. Had an expression that looked like he could see through everything. Katsuragi Keima’s request beforehand to Yoshino Ikumi was extremely simple. Thus, Yoshino Ikumi followed what Keima instructed. Once it was afternoon, Ikumi’s friends slowly gathered at the Dean’s Land one by one. The group was then so large that there were 7 people altogether. Keima, Elsie, the Yoshino sisters, a tall boy, a kind looking boy and an energetic girl with a really cute smile. The tall boy who had that leader attitude declared. The kind looking boy seemed like he was thinking for everyone. After that, everyone decided to head back to the counter to change before playing. Yoshino Ikumi was extremely excited. She asked her friends as she looked really happy. Was playing the PFP silently. Everyone ordered the costume they wanted to cosplay from the counter and changed at the changing room. After changing, they started to cheerily evaluate each other’s clothing. And then, they went for karaoke. They all sang for 2 hours, and then changed clothes before moving to the bowling alley. They were split into two teams in a competition. Right now, the competition was intense. Teammates were high touching with each other, and it was really bustling. Then, everyone was having tea inside Dean Land and chatting away. Excluding Yoshino Ikumi, who recruited everyone, they all met for the first time. However, everyone got together rather well, and the boys and girls with quite the good personalities didn’t seem to show any estrangement. Elsie and Yoshino Ikumi were laughing from start to end, and the important Yoshino Asami looked rather ‘normal’ as she blended in. After a while, everyone decided to head to the game center. The boy joked about, and everyone burst into laughter. Then, everyone started to jab each other with words, and Yoshino Asami was laughing while covering her mouth. Elsie, who was walking last, whispered secretly with a soft voice that nobody else could hear to Keima, who was walking beside her. Keima looked at Yoshino Asami’s thin profile. She was answering someone, and looked rather happy. And then, he turned to look at his PFP again. The unexpected words caused Elsie to stop as she didn’t know what to do. Keima left her behind. But just for a moment, his eyes sparkled. It looked like he was waiting for something. After that, they had dinner, and everyone head towards the dance hall level. There, one person changed for some reason. That person was Yoshino Asami. Yoshino Asami should have Keima, Elsie and Ikumi with her, but unknowingly, Keima wasn’t with her. At the event place, he was called out by the workers to head out through the back door. It seemed that they were asking for suggestions for the sudden ‘gal-game clothing consultant’ that suddenly appeared, and she couldn’t help but wanted to keep him with her. However, she couldn’t find an excuse. Thus, Yoshino Asami swallowed her words. Keima didn’t have any direct links with her. As she responded, she found her sister Ikumi saying something to the 2 boys. She didn’t know how to get involved. She didn’t know what to say. The remaining girl Elsie was looking around blankly. To Asami, there’s nothing more painful that getting together with the people around her. Once she entered her youth, she unknowingly had the ‘ordinary’ as a manner of response, and after such a long time, she finally reached her limit. She felt even more pained. She felt that it was harder for her to smile. Her heart was starting to ache. That’s why she hated herself, and Ikumi, who was like her split personality, was able to talk with others so happily. The discomfort on her body started to strike her. Her body couldn’t help but tremble. It was like for a few times, and she was really unhappy. She wanted to go, she wanted to get involved, she always wanted this to succeed. She wanted to be like her sister, to get along well with others in an ‘ordinary manner’. She would face a huge setback every time. Why couldn’t she just be ‘ordinary’? But she couldn’t do it if she didn’t borrow the power of the mask she constructed. So that’s how it was. She had such a huge flaw. It couldn’t be helped then. She covered her mouth with her hand, forcing herself to hold back the strong urge to puke. Ran out of the event hall, not looking back as she ran off, down a staircase where no one was, stuttered down half the level, and turned back after she found a certain boy who passed by her. Katsuragi Keima, who was holding the PFP tightly. Saw through all the problems she had. She had always been struggling with her feelings, and had given up on the true nature. He was just like an eagle flying in the blue sky and looking down at a pathetic animal that was crawling in a lonely manner. Always been like this, he had always been like this. He was proud of it, and never complained about living alone. He saw through her existence. 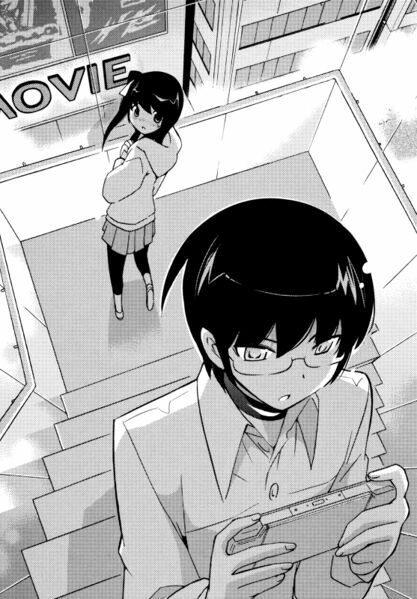 She must have always admired this boy called Katsuragi Keima for not being swayed aside by anyone, standing alone there with superhuman will. Yoshino Asami’s voice was trembling. She finally realized that she, Yoshino Asami was really admiring Keima, and had feelings for him. She couldn’t be like Katsuragi Keima. Words naturally flew out of her. Whenever she saw that her sister was getting along well with others, she felt the unspeakable loneliness, anxiety, and that her sister was about to leave her. That’s why she always followed it. Her split personality. Keima said firmly. He kept his kind smile and placed his hand on her shoulder. At this moment. Keima’s eyes were showing sincere light. He added as he brought his face closer in. Yoshino Asami’s body stiffened for a moment as Keima’s words invaded her heart and soul at this moment. Yoshino Asami closed her eyes, and Keima’s lips gently closed in. That forgave everything, accepted everything, approved everything. The kiss that had Keima’s ‘belief’. Yoshino Asami was thoroughly released at this moment. That was the first conquest for the day. Immediately reclaimed the runaway spirit. Keima opened his eyes and sighed in his heart. He seemed to feel a weird stare. Keima’s eyes met with the girl who was looking up at the two of them in a surprised manner. But he managed to trigger an encounter. The ‘Denpakei’ girl, Amami Tooru was standing there. After that, the chaotic series of events happened. Amami Tooru was clearly shocked as she widened her eyes and turned around before fleeing. Yoshino Asami was still leaning on the wall in a dazed manner, and she shall lose all her memories of this conquest. At this moment, the workers from Dean Land came rushing over. They said that as they pulled Keima. However, they never let go, and Keima was forcefully brought back to the event hall and pushed up the stage as he was given the support from everyone as he was lifted up. Even after Keima said that, the crowd were just cheering loudly. They must be thinking that it's some form of entertainment. Her father was a big boss. He ran a few famous enterprises. Her mother was a famous aristocrat. Her entire family was extremely rich. Ever since young, she had nothing to worry about. She had full-time maids and butlers, which would be unbelievably rare in modern Japan, a chauffeur, bodyguards and specialized chefs. Also, there were Japanese and western food. Ever since young, she had 4 outstanding home tutors taking turns to teach her. Her garden's really bad, and German Shepherds would be released at night. There was also a large lake. A few white birds were swimming on the lake, and their wings were clipped—to prevent them from flying away. It sounded like a joke, but there was even a personal golf course in the garden. It was an interest of her stout father. Her father was one with such great wealth. No matter how sumptuous they lived, they had such wealth that there seemed to be no problems. It was so great that it probably wouldn't be shaken even if the next three generations continued to spend. Her life was that envious. When she wakes up, her maids would be waiting for her at a corner of the rest. She would walk to her personal bathroom, and someone would hand her a hot towel, wipe her face and choose her clothing. For breakfast, the emphasis is on the ultimate harmony of healthy and delicious food. Everyone must be present for meals. That would then be a happy breakfast befitting that of a prestigious family. And so, all 3 members of the family must be present. After having breakfast, she would go to school, and there would be a black limo sending her there. Normally, this kind of sending would be extremely exaggerated, but the school was one where extremely rich kids would be studying at, which made it quite a common thing there. There were princes of large enterprise companies, daughters of politicians, girls of foreign royal blood and sons of famous international pianists. Everyone was obviously outstanding, not worrying about the things in the world. Each one of them were obviously rich, and each one of them were served by others and accepted them accordingly. There was a world that was completely different though. In school, she would use the 'keigo' tone that nobility would use as girls were always like this. So thus, she was like this too. That's the kind of education she had. She was the only daughter, a girl who was to inherit the vast fortune of her father and the highly prestigious bloodline of her aristocratic mother. She was always given lots of expectations and love. While she was rather healthy, she once fell ill when she was young. While it wasn’t an exaggeration, all the staff of an entire hospital was summoned to the house, and her parents felt that this should be the case. However, she still felt somewhat guilty. Of course, she was bathed in the highest class of love, and she had the most advanced care, and even the highest level of education was often prepared for her. As a child of a respectable family. Education was something that was necessary. Violin, piano and even riding were taught to her. And she even learned table etiquette before she learned how to talk. And the specialized home tutor. She would be told off if she broke the rules slightly. This seemed like it was implemented from her mother’s family, from the time of her maternal grandmother. She teared up as she said that. At a certain level, she would receive a penalty. Like for example, being unable to go out. Like for example, not allowed to have her meals. Like for example, being smacked lightly on the hand. Her mother would emphasize this in a teary manner. Answered dryly with a dull expression and accepted it. And he wouldn’t hesitate about it. That’s because it’s his love to his daughter. It’s all for his daughter’s sake. Would have the voices ringing inside her head. And it would never become positive. Under the education as points continued to be subtracted off instead of being added. She grew up under such an environment. She had a unique habit in that she liked to imagine ever since she was young. For example, as she look out from her room through the window and into the night sky far away, her mind would start to weave a story. She would use a story that she knew as a basis and illustrate the prince on the moon and the princess on the stars, and then rethink about it again and again and enjoy herself. No one would obstruct her. This was a sweet world that belonged only to herself. For example, if she saw the white clipped birds and the German Shepherds with the chains on them, she would come up with a story of a remarkable friendship between a hurt traveller and an artist who lost his lover and his will. The intricate details of this story would even amaze her. During the storm of Minus Checks. She used her imagination that spread her wings out in this situation. Most of the source of this imagination were mostly from the current books or manga she had. She had secretly bought a lot, hid them and browsed through them. There were a lot of books that were more like children books, and she liked to read books or manga that were aimed at a younger age. And that’s what happened. Once the points were accumulated to a certain extent, she would be hit on the hand. The physical pain on the body wasn’t much as compared to the pain that she felt inside her heart, and she couldn’t even cry out. She looked outside the window listlessly, bathed under the bright moonlight, and thought. Normally, she wouldn’t imagine with herself as the main focus, and she had never imagined herself to be the protagonist in her imagination. But that day was different. She imagined and thought. She had to become a character that’s far different from herself. To find an ‘eternal plus’. That would change her heart. So let’s try it. She wanted to search for it in the real world. From that day on, her preparations were all set. She skilfully arranged the time such that she had enough remaining time for herself after school, extra-curricular activities and as she moves to and from home. Though there were only 1 or 2 times at school. It wasn’t impossible at all. She was smarter than what her parents thought as she used the internet to buy clothes, download the maps, and had already planned her journey one time after another. She tried it that day. She was always cautious as she went home. There was a large 5-sided star painted on the building, and she snuck in as her parents went out. As that building had restaurants, manga cafés, and billiards shops, nobody could stop her once she entered. As she completed her cosplay as an angel, she looked up the emergency staircase, and thought that it didn’t matter even if she was seen. Because she was an angel now. She had become an angel. She wasn’t that princess who was always stuck inside the huge mansion and had to take Minus Checks. At a turn up the stairs, she met a male smoker who walked in. That man widened his eyes in shock after seeing her dress-up. She was a little ashamed, but she felt more like teasing him. Unlike the usual get-up she would show, she pushed the initiative with the next daring action. She looked serious as she asked. The man took a few steps back before running out of the staircase, and a happy feeling swelled up in her. She used this time to run up the staircase. Ahaha, before she realized it, she was laughing, and then she arrived at the rooftop. An endless landscape appeared in front of her. The unlimited blue sky covered the streets in front of her. Ahahahaha, as she laughed, she felt. She felt that the thick fog in her heart was cleared from her eyes, and for some reason, she cried for a while for some unknown reason. After that, she just needed a chance to repeat this and make some minor changes. However, no matter what costume she wore, her basis of ‘looking for this eternal plus that wouldn’t fade’ never changed. She continued to believe that ‘I’m looking for it’, and turned this daring entertainment into a decisive action. Her parents were even stricter on her. There was a fire, and she was shocked about such bad luck. Anyway, she decided to get to safety first. However, as she was the only one at the rooftop, so it was slightly too late the moment she heard the alarm. As she reacted, the surroundings were already covered with smoke, making her really scared. However, she used her handkerchief to prevent herself from breathing in smoke and successfully managed to head down the emergency staircase. At this moment, she managed to get an encounter. A boy collapsed onto the floor while hugging a brightly colored bag to his chest. At first, she couldn’t help but be stunned. As a kind girl, she obviously went to save him. The boy stared at her in a dazed manner for a while, but quickly lost consciousness. As a delicate girl, it was already a miracle that she could save him. Another reason was that the boy himself was rather light, but there was a strange force that she had never felt before filling up her body. This time, it was because of that power. Before she realized it, she had already reached the bottom of the body and laid the boy’s body on her back onto the floor. After exhaling a huge breath, she felt like she really accomplished something. But once she felt the sounds of the ambulances and the fire engines coming over, this sensation wilted and quickly became fear. If they stayed here and talk about who saved the boy, someone would contact her family, and her secret adventure game may be discovered by her parents. She felt terrified about it. She hurriedly left the scene and subconsciously turned behind. It seemed that he was okay, but she was still worried. After barely managing to squeeze some time out, she decided to take a look at him. Thus, she checked on the boy, who he was and what hospital he was staying at. To her, who’s good at collecting information, money and contacts, this wasn’t something hard to her. On a certain day, she went to the hospital and met with the boy. It was really a coincidence that they met on the rooftop, and after seeing that the boy was really healthy, she wanted to head back, but as the weather was too good, she couldn’t help but enjoy the scenery as she looked out from the roof. “In that case.” She jumped down and talked to him. She felt that his eyes were really beautiful. As she talked to him casually and saved him, she was an angel. Thus, she continued to disguise herself as an ‘angel’. Bye bye. She waved her hand and left that place. It was supposed to end there. However, the boy appeared there for the third time. It was a break day, and she found an alibi, left the house and walked around on the streets. As she was looking around for the star-shaped building, the boy again talked to her. The girl was shocked. She was really happy to see him safe, but she had never even thought that they would meet each other again. While talking, she found that the boy continued to stick to her. In fact, she was already used to being talked up by young guys on the road. She knew of such animals. She had already learned that guys are animals who would want to attract the attention of girls. She also knew that she was rather attractive to guys. She really felt like playing tricks on him. Thus, she continued to act an angel. She felt that the boy was trying to make a good impression, and that if she continued to talk about things from her own imaginary world, he would run away eventually. The other guys were like this without expression. As long as she smiled and said this, the other party would definitely reveal an ambiguous expression and say ‘ah, it’s alright, never mind, sorry’ before running away. No matter how she tried to make him cosplay. No matter how she dragged him selfishly along for a roller-coaster ride. He always tried his best to respect her view on the world, which shocked her. Up till now, nobody would do this for her. Her parents denied her inner world without exception. The rest viewed her as a strange creature from her imaginary stories. Still believed with those beautiful eyes. Her actions, her world, her worlds, her behaviour. The boy accepted all of that while he was with her, and embraced this with her. No matter how others viewed her with strange looks, he never backed down. Not flattering her at all. He just continued to look at her. She…never had this feeling before. “What was going on?” She thought. However, happy times would fly so fast. There was contact on her handphone, and it seemed that her mother started to doubt her excuse. She had to go back. Maybe she acted until the end. The fourth encounter was too disastrous. She met him while walking on the street at an open terrace café. She found a cute girl with him, and the shock she had was so huge that it was far more than what she expected. So, that’s how it was, she thought. As expected, she was just a guy who really liked girls. Maybe it was just out of interest that he went out with her, and she really couldn’t take it as she hurriedly left. That day, for the entire day, she was really restless. Then, the worst thing happened that day. Found out that she was walking on the streets. The check carried out by her home tutor. Perhaps it was the one positive amongst all the mishaps as the reason why she did so was undetected. Her parents just thought that she made up the schedule to play on the streets. She took numerous ‘Minus Checks’ and endless punishments. She was forbidden from going out except with her parents, and got scolded over and over again. Minus check. Minus check. Minus check. She heard those words until her mind was all blurred, and while she cried unhappily at first, it didn’t matter in the end. Perhaps her mind was breaking. Every time there was a Minus Check, her body would have black fog around her, and looking at it, it was a ‘-‘ sign after another. The ‘-‘ sign continued to cover her like garbage and dust, taking her vision away. But her parents didn’t seem to realize it. The girl was imprisoned by the ‘-‘. What swallowed her was the corrosion of reality. This was her final resistance. Her greatest wish. She tried hard to search through her happy memories and arrived back at the Dean Land where she had fun with that boy. The time was really tight, and she felt that she could see those clear eyes of the boy clearly. Nothing else really matter then. She was lethargic during the past few days. After seeing that boy, Katsuragi Keima kissing another girl. The minus fog that covered her was too much. She met him for the sixth time. Katsuragi Keima was standing there. Amami Tooru was stunned. What was most unbelievable was the fact that he was there. The security in this house was extremely tight, and it couldn’t be imagined how he would break in through the front door, escape the guards, prevent the German Shepherds from barking and being undetected by the security snesors. Stunned. A huge hole opened in the ceiling, only the ceiling in Amami Tooru’s room. The gentle moonlight shone in from there. It was like spotlight shining down from heaven. The boy who was shining brightly like a prince. Keima respectfully placed his hand in front of his chest and said that. Amami Tooru was so stunned that she couldn’t say anything. Unknowingly, their positions were reversed. Keima described his fantasy, and Amami Tooru denied it. Keima smiled and took a step closer. Amami Tooru instinctively took a step back. She was angry, clenching her fists and growling. Her legs started to tremble. The black fog that surrounded her got thicker. Keima narrowed his eyes slightly. He stretched his delicate hand out. Amami Tooru widened her eyes. Nobody could see that ‘Minus’. See that imprint that was placed on her soul! Seeing the shocked Amami Tooru, Keima merely nodded his head. Amami Tooru shook her head. Showing the wavering in her heart. The soul that was hurt and suppressed shouted out. Keima closed in on Amami Tooru with a pained expression, and at a distance where they almost touched. Tears flowed out of her eyes. Seeing Keima question her so calmly, she shouted out at the top of her lungs. He pointed at Amami Tooru’s chest. Over there, it was the cross that was hanging on Amami Tooru. The shape of the ‘plus’, the symbol. As if time stopped, Amami Tooru was frozen for a while. Something warm appeared, and the moment it exploded. The cross let out a glow. The minus signs were blown away, and the light shone like a storm as the chains of minus gradually broke, the negative thoughts that bound her words broke. In the midst of this light, Keima smiled, stepped forward and kissed her. Amami Tooru never tried to avoid Keima. Or rather, she took the initiative and accepted Keima. Having heard the explosion, the parents rushed into Amami Tooru’s room. They were stunned. First, it was the large hole in the ceiling. The furniture that was all over the place. And a seemingly restless Amami Tooru. Her face looked flushed like she was drunk. Wasn’t an expression of a princess that relied on her parents’ expectations to survive. At the same time, Elsie, who was in the air, said to Keima. She was the one who used the power of the hagoromo to pierce the ceiling, captured the runaway spirit that flew out as Keima kissed, and brought Keima away from the scene. However, he looked rather satisfied.